Projects are the second most important part of resource planning. First being the resources themselves. We are fairly certain that you are planning resources for multiple projects at once. You might even call yourself a project portfolio manager. How can you do that if you don't have any projects to plan resources for? Let's sort it out! Remember that you can bulk import projects as well as resources, tasks, and custom data fields. Speaking of which, make sure you add all the custom data you need to your projects to give extra information to your team. 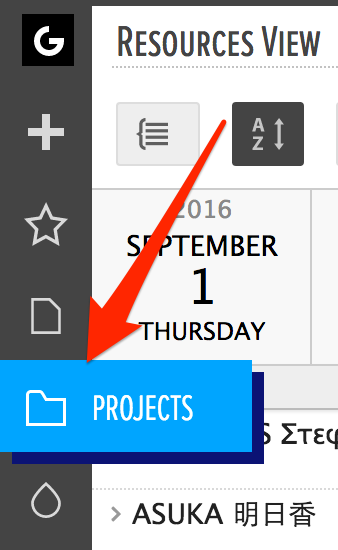 You can add Projects using the sidebar, the task dialog, and in the tab of the list of Projects.You can also bulk import projects. You'll find it on the sidebar. You'll find it below 'REPORT'. You can do that in the Project dialog that popped up. The Project is now open in a single project view. Start planning your resources! 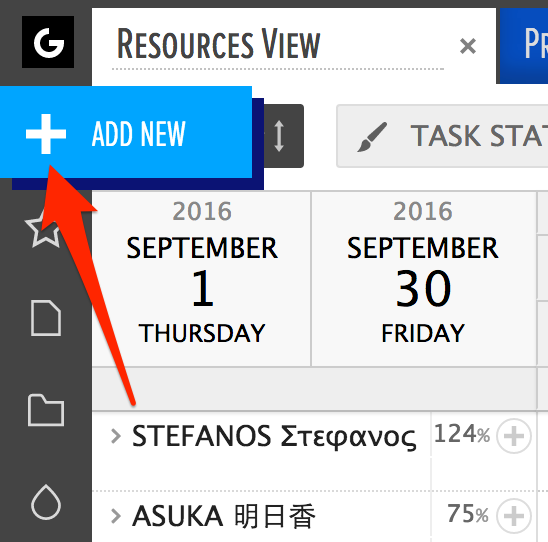 You can do that by dragging and dropping a task or clicking on one in the Gantt chart area. Select '+ Add New Project...' from the list. You'll see your Project on the list of Projects or if you group Resources by Projects. You'll find it under 'REPORTS'. You can search for, open, archive, and delete projects here. You'll see how to do that above. You'll find the button next to the search tool. 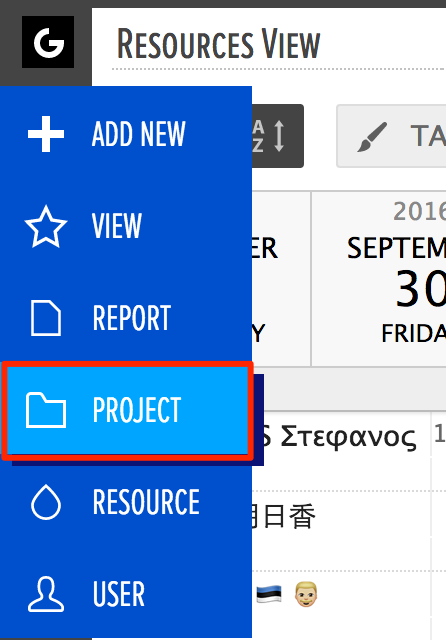 Open the Project that appeared in a single Project View to start planning. Did not find the answer to your question regarding adding projects?